This shootout is nothing but unbelievable!!! Yuri took a total of 25000W flashes on batteries and took them to the airport!!! 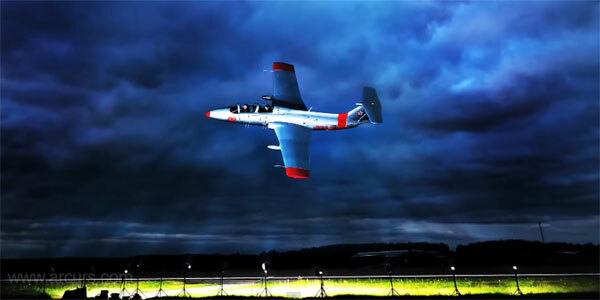 He decided to shoot a plane that fly about 400 kilometers per hour, Setting the flashes lighting a concentrated point in the sky. All flashes are set to full power and working on batteries . It took Yuri some tests to get the proper image , he used a wide angle lens so its was very difficult to catch the plane.